It was a comfortable win for Fourth seed PV Sindhu as she defeated China’s Sun Yu 21-14, 21-9 to assure India of a medal in the Championships at Glasgow, Scotland. PV Sindhu lived up to the expectations while Kidambi Srikanth lost in the quarter-final match on Friday as it has turned out to be a mixed day for India at the World Badminton Championships. 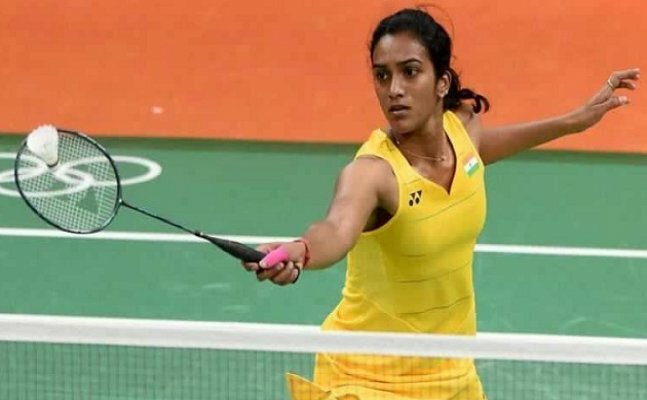 It was a comfortable win for Fourth seed PV Sindhu as she defeated China’s Sun Yu 21-14, 21-9 to assure India of a medal in the Championships at Glasgow, Scotland. The two time bronze medalist at the event, Sindhu will look to better the performance from the past and get a gold for India. She will now face reigning junior world champion, Chup Yufei of China in the semi-final. PV Sindhu was in total control of the match right from the first point. The Olympic silver medallist once again impresses at the big stage! Earlier in the day, Kidambi Srikanth went down fighting to World no.1 Son Wan Ho of Korea in men’s single competition. There had been hugh hopes from Srikanth after his superb show at the Indonesia and Australia open where he won back to back titles. But, it was not his day today as Wan was at his very best and won the match in straight sets.